"Our goal was to create an crisp, clean and warm environment for our staff and volunteers to work in. Karen was able to work within our limited budget and create a modern and comfortable space. She listened to our ideas and business requirements for the space, incorporated furnishings and accessories that were important to us. We still, almost a year later, receive comments about how great our office looks. Thanks Karen!" After 16 years of home ownership, it was time to renovate my kitchen. Lack of storage was a big issue but I didn’t want to knock down any walls. I hated the cupboards, the flooring, and the floral wallpaper! I thought that I could manage the project on my own – in fact, I was extremely confident that I had the capabilities because of the design shows that I watch on TV. It wasn’t long after I started that I was overwhelmed with the multitude of decisions that had to be made. It was then that I called Karen Wilson from Karen Wilson Interior Design Inc. She designed a kitchen layout with a custom pantry, dishwasher and maximized the cupboard space by extending them right to the ceiling. She suggested glass fronts on some of the cupboard doors for a more updated look and steered me away from a design that was too trendy. Karen’s expertise and knowledge proved to be invaluable in helping me with the design decisions. I didn’t realize how involved a kitchen renovation could be – the scheduling of material purchases, trades, and installation are crucial elements to a successful renovation. I never could have achieved the end result without her expertise. 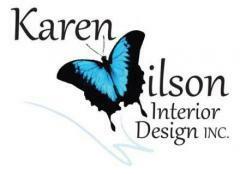 I highly recommend Karen Wilson for any design project – large or small. "Karen skills and expertise is amazing. She took a concrete block basement with structural issues and transformed it to an oasis. From the initial measurements, design concept, implementation and completion Karen was there. She worked with contractors, engineers, city inspectors all with professional ease and integrity. The icky concrete basement shows now with a fireplace, desk area, tv watching, art area for painting, storage, storage, storage, bathroom, laundry room and workshop and used my favourite colours. Without her knowledge and design experience it would not of happened. To Karen we say thanks!". "...we engaged Ms. Wilson to design an office plan and select finishes for floors, walls and to assist with lighting and furniture selection. She created exactly what we wanted and did so within the budget that we allotted. When we had our office opening, we had nothing but compliments on the entire design." "We have worked with Karen on several projects at our home - she has been involved in all aspects of the redesign of our main floor including a major kitchen renovation. We have been thrilled with the final results and the creative ideas that she has come up with over the years. 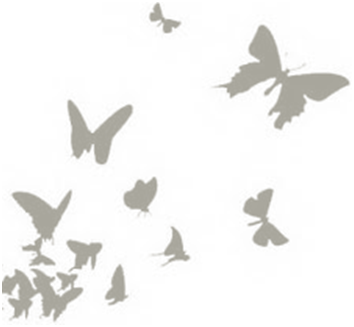 She is wonderful to work with and highly recommend her for anyone looking at redesigning any room in their home."